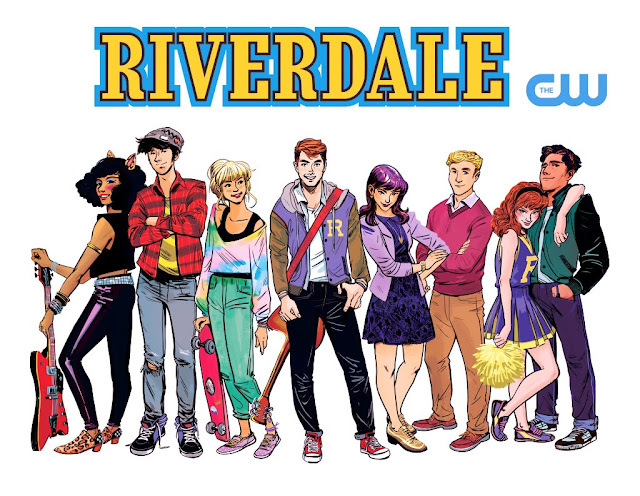 The Archie resurgence continues as the CW has officially picked up the pilot for the live-action adaptation entitled "Riverdale." Just in time for the 75th anniversary of the iconic and ageless teenager the pilot films this spring. After successful efforts to diversify the 'Archie' brand through creative new titles including a relaunched and modernized flagship series, the kids of Riverdale are ready to crossover to live-action at a network that specializes in the angst-filled love lives of young people. Archie Comics Chief Creative Officer and writer of two of those new hit comics, Afterlife with Archie and Chilling Adventures of Sabrina, Roberto Aguirre-Sacasa, will write the show and executive produce with Greg Berlanti, Sarah Schecter, and Jon Goldwater. Berlanti and his Berlanti Productions along with Warner Bros will produce the show. He has become the CW's version of Shonda Rhimes, producing ratings winners with his three comic book shows The Flash, Arrow, and Legends of Tomorrow. No doubt that his golden touch could guide "Riverdale" into another hit hourlong drama for the network. The show promises to open up the world of 'Archie' including the main cast and popular characters like Kevin Keller and Josie and the Pussycats. This is especially good news for Josie who might get a decent adaption after a horrendous film version bombed in 2001.